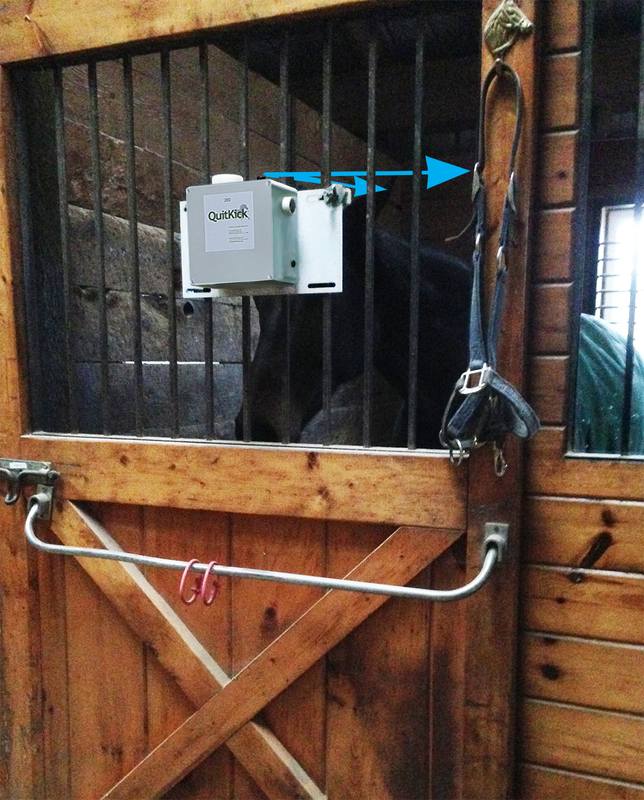 QuitKick systems modify equine behavior through operant conditioning - the same process you use to train your horse every day. "Operant conditioning" is just a fancy way of saying the animal learns to associate its behavior with a consequence. When you throw hay in the stall to quiet a kicking horse, for example, you have provided a positive consequence for the kicking behavior. This "strengthens" the the behavior - that is, you have made it more likely the horse will kick the stall wall again. 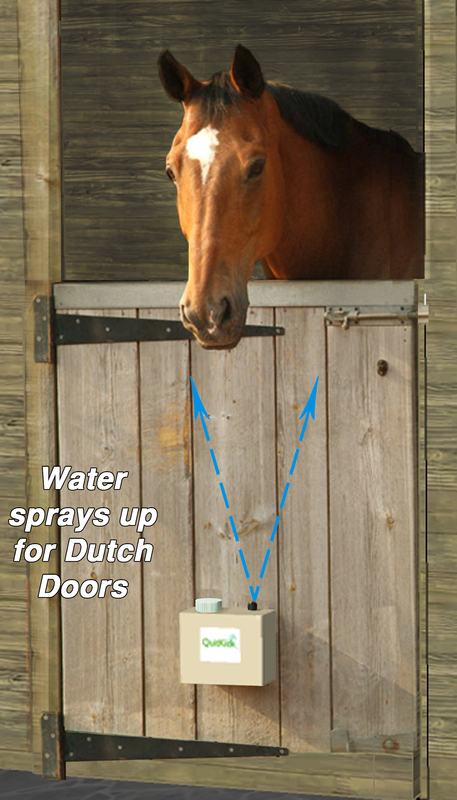 QuitKick systems provide an instant negative consequence for kicking or pawing by spraying two harmless, (but annoying,) controlled jets of water toward the horse any time the horse vibrates its door or wall with a kick. The speed of the response is important here; because horses are flight animals, they are quick to recognize the relationship between their own behavior and the world around them. 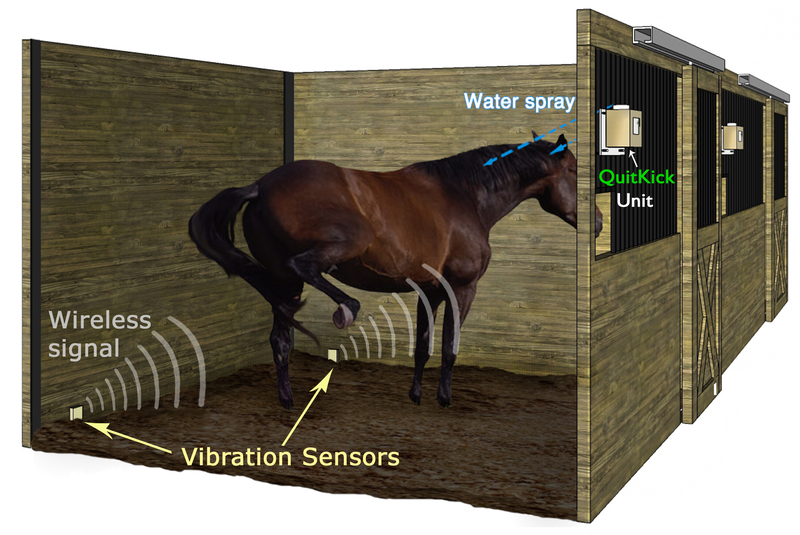 As a result, it often takes only three or four kick-spray sequences for the horse to figure out that its own kicking is causing the QuitKick to activate. Naturally, they stop kicking. QuitKick Door Systems' vibration sensor is built into the QuitKick box.